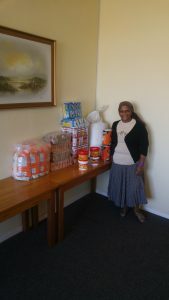 We were once again able to make a generous donation to Church of the Nazarene in Bonteheuwel and Langa Baptist Church. 4 x 750 g coffee, 4 kg each of peanut butter and jam, 20 kg dry lentils, 20 kg dry soup mix, 40 kg samp, 2400 tea bags and 48 cans each of pilchards, baked beans all donated by Giant Hyper. 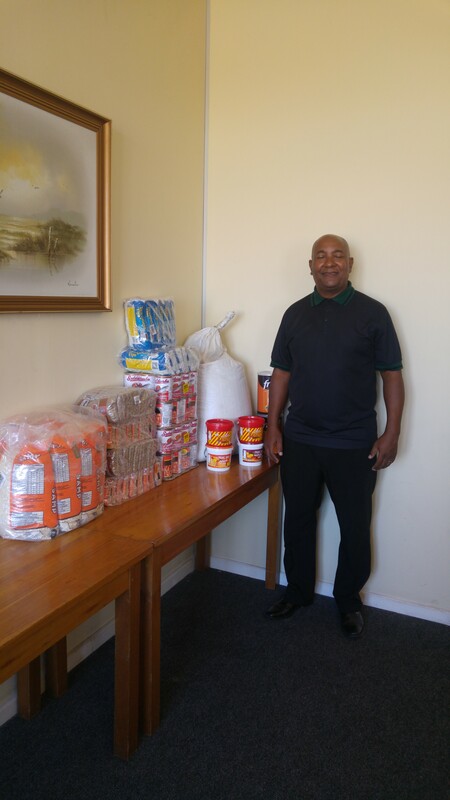 2 x 50kg gravity beans donated by Pioneer Foods. Published by Admin, in Feeding Shemes, News.